Stick in the Mud owner David Evans at the coffee roaste. David Evans, owner of Stick In The Mud Coffee House, is launching NightStick this Friday (Feb. 8). The Stick will be staying open on Fridays until 9 p.m. and will feature live entertainment accompanied with a modified food and coffee menu. Currently, The Stick caters to a morning crowd. Evans says 70 per cent of their goods are consumed before 10 a.m., and 80 per cent of it walks out of the door. Which is to say that 80 per cent is to go. The Egg-a-Majig really can’t walk on its own. The NightStick, as Evans coins it, “is really driven by our customers.” The Stick has been open for 5½ years, and for the past five years, clients have been asking Evans to stay open a little longer. So for now, it’s a tentative venture. Friday’s debut launch of NightStick features cook Cathi Coutts on vocals and acoustic guitar. The food menu will also expand. Along with standard “Stick stuff,” they will be serving three new personal pizzas, cheesecakes by Cathi, and a list of new lower-caffeine drinks developed by the baristas. When they first opened in 2007, there was some skepticism about the “hole-in-the-wall” location, tucked away in a corner off Eustace. Evans recalls speaking with Colin Newell, founder of the CoffeeCrew.com website, and specialty-coffee critic. The feedback Evans received on his chosen location: It could be a disaster, or it could be the greatest place to be. With business booming and expansion constantly underway, the latter has proven to be the case. On a busy day, 300 people walk through the door. The population of Sooke in 2011, according to Sooke.ca (the district’s website), is 11,435. The Sooke town centre hosts four cafés: Little Vienna Bakery Cafe, The Reading Room Bookstore, Serious Coffee, and The Stick. Which means, depending on your preference of ambiance and taste buds, you have a range of cafés to choose from. Those seeking evening caffeine infusions have always been able to go to Serious Coffee, which used to be open until 8 p.m. every night of the week. They are trimming their hours ever-so-slightly and have a new closing time of 7 p.m. 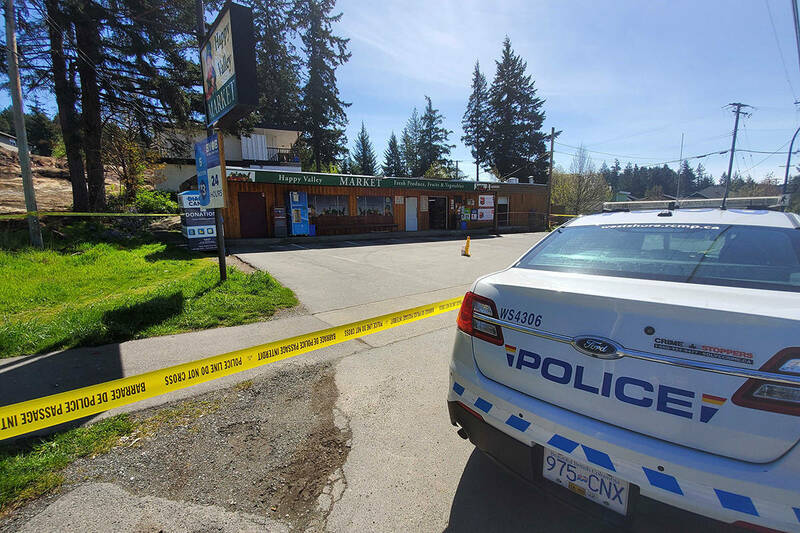 If you’re looking for live entertainment to accompany your low-caf double-shot espresso topped with thick crema on a mellow Friday night in Sooke, go (coffee) clubbing at the NightStick. Beginning now.